The Hart of the Munchkin Patch: Happy Birthday, Swagbucks! 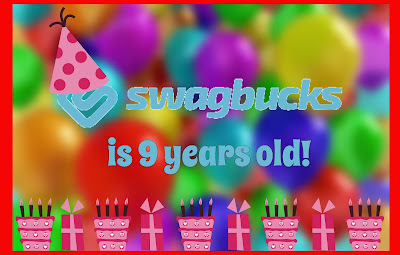 Everyone loves a good birthday celebration, and Swagbucks is no exception! They are going all out starting this Monday (27th February,2017) to mark the special occasion that is their 9th birthday! 9 years! 9 years of rewarding their members ... 9 years of always finding new and fun ways to entertain their community ... 9 years of growing success! As Swagbucks is celebrating their birthday on Monday, they're keeping the party alive all day on February 27th, but they want to give YOU presents. You can play Birthday Swago (their version of bingo) all day long, filling out squares as you earn points on their site for doing things you already do online. I have played a number of rounds of Swago now, and they are fun! Search the web, complete surveys, refer friends, explore your favourite stores ... what will this next Swago board have in store? 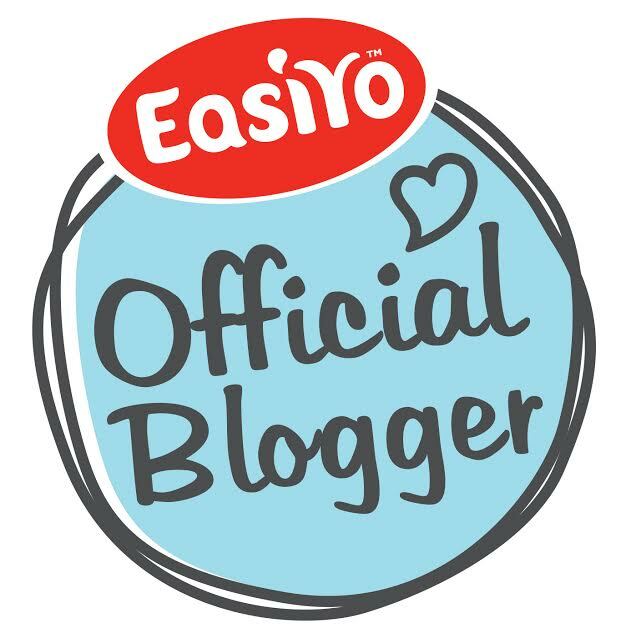 If you have played Swago before, you will already have an idea of how it works. But ... This is no ordinary Swago! 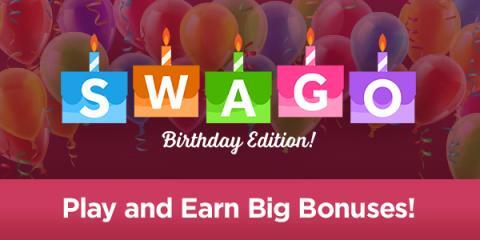 This is Birthday Swago, and Swagbucks have lovingly added a twist of the best kind! 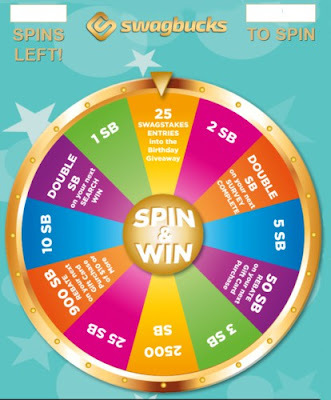 For each square you fill in, you get a spin on their big birthday prize wheel, where you can earn up to 2500 points (SB) with each spin! The best part is that the points you get can be used to get free gift cards to places like Amazon, or PayPal cash! So, a Swago board with a top reward of 300 SB (for completing the whole board), and lots of opportunities to try your luck on the Big Birthday Wheel! Fill up your board and then submit your patterns to get even more spins and more chances to win big points! Click here to sign up and get started! If you're not yet a member, you can sign up through my link, and when you earn a minimum of 300 SB before March 1st, you'll get a bonus 300 SB! So, if there was ever a perfect time to sign up for free to Swagbucks, with all these rewards on offer, now is it! I am working alongside Swagbucks as an Influencer to spread the word about the benefits. 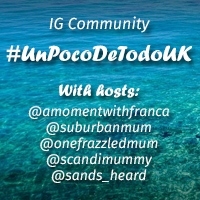 I am very much an active member and all opinions are 100% my own! Pancake Day is sweeter with Num Noms! All you need is love ... And Swagbucks!